The modern Turkish woman's identity is greatly influenced by the female writers from the Ottoman-Republican transition. Due to her charismatic personality, many people know Halide Edip; however, there are many other influential-feminist Ottoman personalities such as Şükufe Nihal. Halide Edip was part of the opposition to the Kemalist rule during the first years of the Republic. On the other hand, Şükufe Nihal preferred to act as the model for the "new woman" of the secularist and elitist Westernization of Turkey. Although Halide Edip acted as an equal among politcal male peers, Şükufe Nihal always chose to emphasize her femininity above gender politics and became more of a romantic-female poet; although, there is a parallel theme of feminist populism or populist feminism in her novels and poems as well. Şükufe Nihal Başar was born in Istanbul in 1896. Her father Ahmet Bey was a pharmacist with colonel rank in the Ottoman army. Colonel Pharmacist Ahmet was the son of Doctor Emin Pasha, the chief physician of Murad V, who reigned as the 33rd Ottoman sultan for only three months in 1876 due to his mental illness. 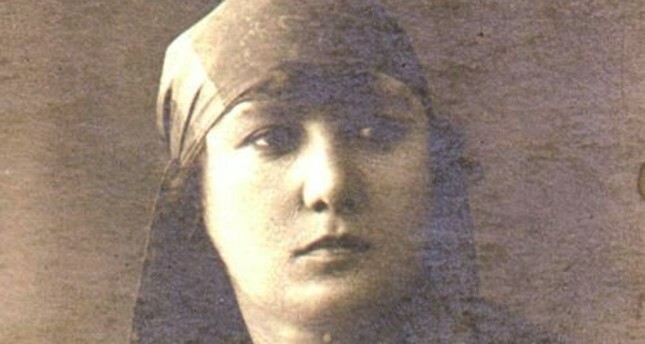 Şükufe's mother, Nazire Hanım, was a housewife. Şükufe received private tutoring at home before she was officially schooled. Because of her father's occupation, she lived and went to school in various cities in the Ottoman Empire. She attended secondary school in Damascus and Beirut and high school in Salonika, where she learned French. She also learned Arabic and Persian from private teachers. Starting in her early childhood, Şükufe would attend home meetings held by her father, where she listened to matters of politics and poetry. Through the informal meetings, she followed her father's footsteps and became a supporter of constitutionalism. Under the influence of the statesmen and men she observed in the meetings, she began writing poetry and showed a great interest in politics very early. However, due to her young age, her early poems are seen as naïve and romantic-small pieces. Often female Turkish poets tended to have little luck with marriage. Şükufe Nihal married twice, but, regrettably, she couldn't find happiness in either marriage; thus, both marriages ended in divorce. She was much like Nigar Hanım, the archetype of the modern Turkish female poets, in this aspect. However, divorce didn't stop her from having a fulfilling love life. She had many love affairs, often with fellow poets. In 1912, at age 16, she married Mithat Sadullah, a writer and expert of education. He is known for preparing the modern Turkish alphabet after the Language Reform in 1928. The two stayed married for seven years and had a son. Şükufe Nihal wanted to continue her education and, with her husband's permission, she enrolled and attended "İnas Darülfünunu" (University for Women) in 1916. She studied literature for two years before she transferred to the Geography Department of the Darülfünun (modern day Istanbul University) in 1918. She graduated from the Geography Department in 1919 and began working as a literature and geography teacher in the Istanbul High School for Girls. Şükufe Nihal was the first Turkish woman in history to graduate from a university. Şükufe and her husband Mithat Sadulla attempted to start a new type of school and founded "Mekteb-i Ümid" (School of Hope). Şükufe Nihal's early poetic work was greatly influenced by tradition and she often utilized classic meter and rhyme. She was an avid reader of late 19th century master poets including: Namık Kemal, Abdülhak Hamid, Tevfik Fikret and Nigar Hanım. After graduating from the university and beginning to work as a teacher, she left her husband and took her son to her family's house. The two divorced soon after. She published her first book, a collection of small poems named "Yıldızlar ve Gölgeler" (Stars and Shadows), the same year she graduated. Şükufe opposed the occupation of İzmir by Greece and often protested at political meetings held in Istanbul. She made many speeches at Sultanahmet and Fatih meetings for her causes. Şükufe was seen around literary circles much more after her divorce. Her close friend, İsmet Kür, described her as "a chic and elegant lady with great self-esteem," which could partly explain her great appeal to fellow male poets. Nazım Hikmet and Ahmet Kutsi were among her lovers. Literary historians also add Faruk Nafiz to the list. Unfortunately, Şükufe's charm caused a tragic incident. Osman Fahri, brother of the great poet, Cenap Şahabettin, killed himself after Şükufe turned him away. Şükufe Nihal refers to this incident later in a novel and calls it "impossible true love" through circumstances. Şükufe and Faruk Nafiz wrote mutual poems and novels for each other as an expression of their love. However, they quarreled later and, in the end, hated each other for the rest of their lives. Meanwhile, Şükufe married Ahmet Hamdi Başar, an economist and entrepreneur. The Başar couple worked for the War of Independence via the Association for Supporting National Rights. Şükufe Nihal continued civil society work after the War of Indepence was won and the Turkish Republic was founded. She was among the founders of the Union of Turkish Women, founded in 1924. She also engaged in charity work. She became a role model for the women under Kemalist regime. After a long marriage, Şükufe Nihal and Ahmet Hamdi Başar divorced in the late 1950s. She retired as a teacher in 1953. After that, she lived a quiet life and continued writing. In 1962, Şükufe Nihal suffered an accident and one of her legs was disabled. She moved to a nursing home in 1965. She spent her last years in nursing home, lonely and silent. She died on Sept. 24, 1973.